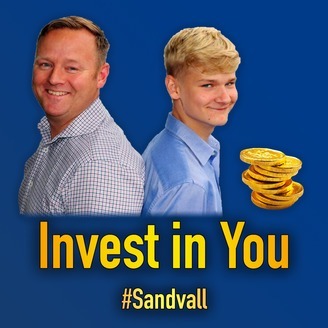 Fredrik, Charlie and Ivan Sandvall sharing ideas and interviewing world-class entrepreneurs and influencers. Invest in You is about investments, entrepreneurship personal development and doing fun things. They hope to inspire you to take action, helping others and yourself plus enjoying the journey we call life. When you get bored, what do you usually do? You browse the internet hoping that something could entertain you. The truth is a big bulk of traffic on the web is composed of people consuming (reading, streaming, playing, etc.) content. If you’re trying to be an expert in your industry, it’s best that you try to jump on the other side of the fence – by starting to create the content. We dive deep about social media content creation in this latest episode of the Invest In You Podcast. Fredrik, Charlie, and Ivan share everything that you need to know could increase the value you contribute, the sales, and the engagement with your followers. It takes the drive, the skills, and the knowledge to position yourself as one of the top players so make sure to tune in to get their helpful tips. Charlie hosts his own YouTube Channel, and he shares that anyone can earn money by entertaining others. Most YouTube influencers rely on ad revenues or by getting sponsors. For podcasts, it’s best to invite people of credibility and of experience whom the listeners can relate to. It’s not just assuming that you’re giving out the most significant value to your audience, but also this increases the engagement with followers and the sales. You can also collaborate content ideas with them. Creating content builds your personal brand. Branding is essential if you want to cement your place in the industry. You want to be the go-to person, their own guide to everything they want to learn and know. It’s important to trust yourself and be confident of what you’re putting out there. And remember to be consistent on posting content on social media. Grow your following in every social media platform. Find a way to link your other platforms in the contents you make and post. One exception though is to consider a follower’s convenience, so they continue supporting your content. For example, if you’re planning on posting a video on Facebook, it’s better if you directly upload it in there, rather than diverting it to YouTube. Look at what the numbers are telling you. Are you gaining enough engagements? What topics are not interesting enough for the viewers? If there is negative feedback, use it as a learning tool and a motivation to improve yourself. 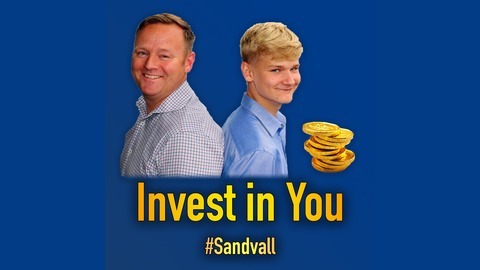 Serial entrepreneurs Fredrik, Charlie and Ivan Sandvall love sharing ideas and interviewing world-class entrepreneurs and influences. Invest In You is about investments, entrepreneurs, personal development and doing fun things. They hope to ensure you to take action, helping others and yourself, plus enjoying the journey we call life. What is your Ten-Year Plan?